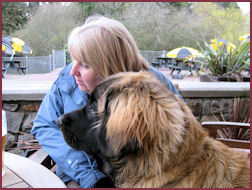 Karen has had many successes over the years both individually and with Swinton Dog Training. Full membership granted to Karen at Swinton Dog Training and Day Care to the British Institute of Professional Dog Trainers (founded 1974). Karen is a Pet Care Specialist which is an accredited award with the Animal Care College. Membership to the Institute for Animal Care Education given to Karen after completing a Canine to Human interface course in 1994. She has completed the Canine/Human Interface course in 1994 and passed with credit. The course is run by the Canine Studies Institute and the Animal Care College. Karen was tutored by top animal behaviourist, the late Mr John Fisher. Karen keeps her knowledge up to date by regularly attending seminars hosted by some of the world's leading trainers and behaviourists. Karen has successfully shown her own dogs in both breed and competitive obedience classes. 5 members of Swinton Dog Training have previously starred in a Doggy Fashion show on Granada Breeze TV. See Manchester Evening News article on our Good Citizen Dog Scheme test featured on our Training Classes page. Swinton Dog Training raised over £1000.00 in a charity dog walk for MacMillan Cancer Support.